This post is sponsored by Groupon Coupons. However, all thoughts and opinions expressed are my own. Shopping is, by far, one of my favorite hobbies. I love the anticipation of receiving a package in the mail and I get so excited – almost like a kid on Christmas morning when the package arrives (although I’m not sure my delivering men & women feel the same about my love for shopping – a big thank you to them for putting up with my shopping habit!). If I were to sum it up, I do about 80-90% of my shopping online. I am not sure if it is the convenience of ordering it and it arriving on my doorstep 5-7 days later or if it is because I am able to find a larger section of items online without scouring all over the store for the right size. Either way – I love to shop online (maybe a little too much). My solution: finding ways to save money on the items that I love the most! Groupon Coupons is the perfect place to help me save money while still having “something to wear” (aka. something new to wear)! Groupon Coupons is a one-stop-shop to help me find some great deals that my favorite stores are offering, including: Lane Bryant, Birchbox, Target, Sephora, Nordstrom (Rack), Belk, Kohl’s, Ann Taylor, etc. (I could go on….but it would take me a while – you can check out the full list here)! 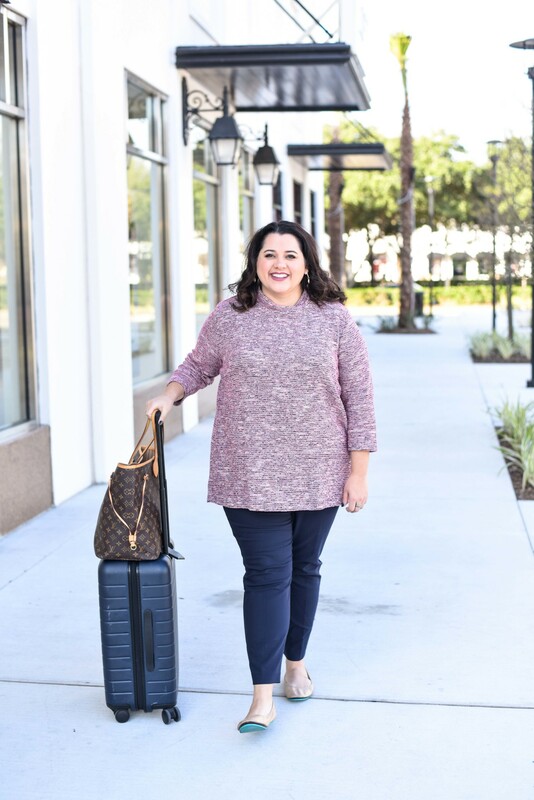 By finding the best deals on my favorite items, I am able to stay within my budget and still get my hands on some of the latest trends! Using Groupon Coupons, I was able to easily find a promo code to use at Lane Bryant to get this skirt almost half off. 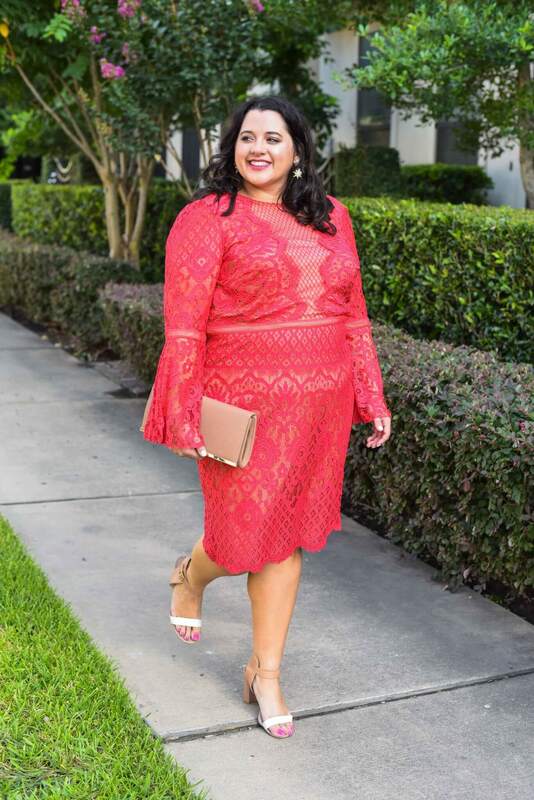 The process was extremely easy – I found the items that I wanted from Lane Bryant and added them to my cart, then I went to the Groupon Coupon website, searched for Lane Bryant and was able to view all of the promotions Lane Bryant was currently running. I found the promotion that would be the largest discount for my purchases and used the promo code provided. All in all, it took me about 2 minutes (most of it page loading time and calculating the best savings from the list of promotions) to save almost $30 dollars (definitely worth it in my book)! 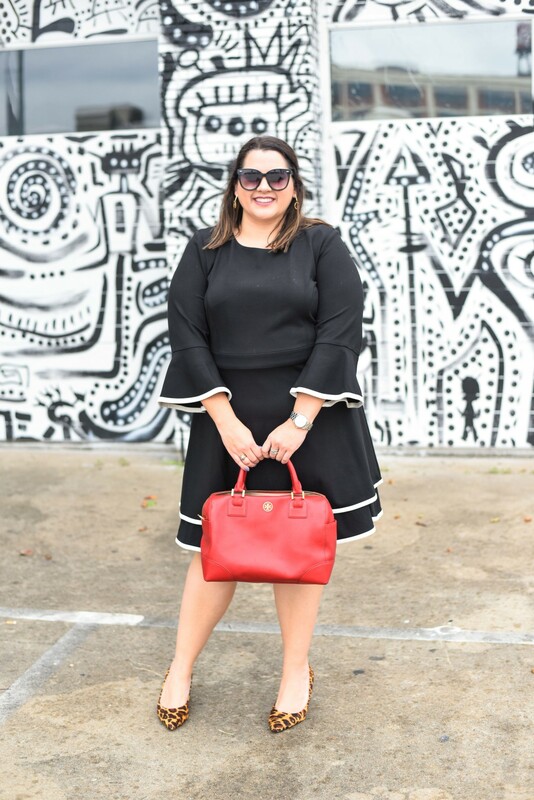 When I was deciding what to wear with this skirt (and knew that I was going to be talking about saving money), I knew that I wanted to showcase one of my pillars when it comes to my personal style – you can mix higher end items with more economical pieces. I love luxury brands, but I can’t afford to have a closet full of all designer pieces, so I focus on purses and shoes to invest my money into because these items (especially purses) tend to last longer (of course, like everything, taking proper care of them helps with this tremendously). And with shoes, I have found that for comfort, investing in high-quality shoes has been a game changer. The items that I try to save my money on are trendy clothing that may not be “in style” next season. I hope that y’all are having a fantastic week! If you have any tips/tricks for saving money on your favorite things, I would love hear about them in the comments! This post contains affiliate links. I may be compensated if you purchase through these links. Please see my disclosure policy for more details and thank you for supporting SGSB! Im super surprised! I was always pretty skeptical of Groupon. Ill have to check it out again. Love the bag. Thank you!! The Coupons section work really well for me, Olivia! i used to be obsessed with groupon but drifted off. I may have to take another look at this coupon thing! The Coupon section is super easy to use and it was nice to have a ton of store promotions all in one place! What an adorable look! Great job mixing these fab prints together! Thank you so much, Abby!! I just opened up my Groupon app after so long last night! Love it! I LOVE Groupon! Easily one of my favorite sites. Also this dress/skirt is FAB. So vibrant and pretty. Thanks, Angie!! I already know this skirt is going to be on major repeat because of the colors and print! And I totally agree about Groupon – I love finding great deals with them! I love this skirt for spring! It’s so much fun! I will have to take a look at this! I never would have thought to use this service for some of these stores. Thanks! Shopping is one of my favorite hobbies too. Love your bag and your mixed prints outfit! I’m never confident enough to do this, but it looks so great on you! Thank you so much, Chelsea!! I definitely recommend using Groupon Coupons! 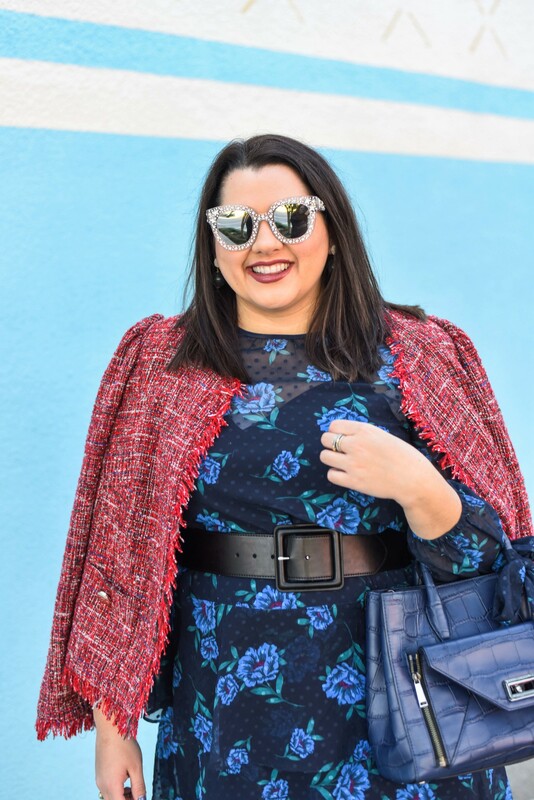 And I guarantee that you can pull of the mixed prints outfit – I recommend starting with smaller prints (like small stripes) with a coordinating larger print! I have found some pretty good things on groupon! I like the food and fitness groupons best. I totally agree – I have found some great restaurants from Groupon! I’ve never thought about shopping online with Groupon… What a good idea! Thanks, Maggie! I found the site super easy to use and it provided me with all of the options at each store – which made me feel confident that I was getting the best deal! That skirt is so cute! Love how you mixed stripes with the floral. Love that you saved using Groupon! Any time I can save money I will. I will e checking out Groupon for sure. Love your skirt and top combo! Thank you so much, Sara!! I am the same way – I love scoring a deal! I’m ALWAYS all over Groupon! I’ve gotten so many great things from it. Travel, make-up brushes, restaurant deals. Love! Same here! They are fantastic for saving money in so many different areas! I love Groupon and that skirt is fabulous! Thank you so much, Catherine! And I totally agree about Groupon – I love it! Have I been living under a rock? I had NO idea Groupon did anything for clothing! So so neat. And you look fabulous! Thank you so much, Linh!! I loved using Groupon Coupons and am excited to have a site to grab some great deals on my favorite fashion pieces! Thank you so much, Kathleen! I thought the same thing and already know that it will be one of my go-to skirts for this spring/summer! Well that is really cool information! I had no idea they had coupons 🙂 Will be having a look or twelve later! Yes – I definitely recommend it! I love using it for all of my purchases! Love groupon!!! And I NEEEEEEED your bag!!!!! Me too – I have found so many great deals on everything from restaurant groupons to electronic and, now, clothing! I had no idea that Groupon had a coupon site too! Rushing over there now! P.S. 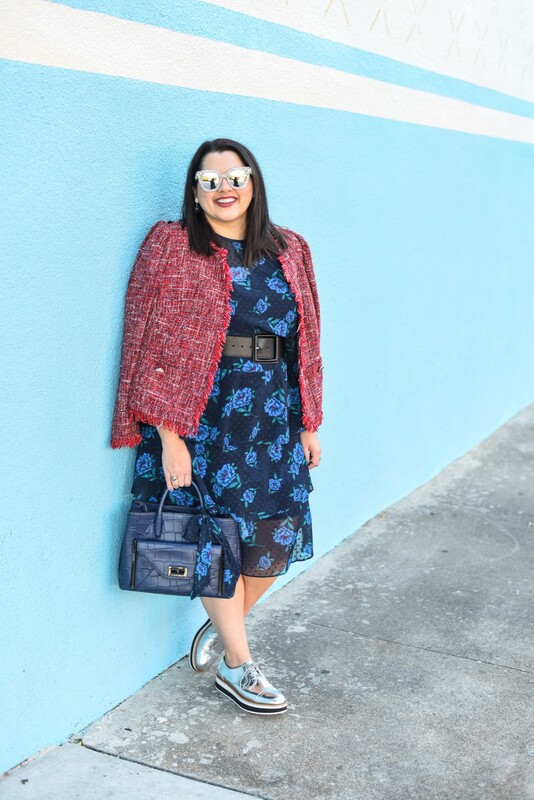 you are seriously the best at pattern mixing and color blocking. LOVE it!!!! I had no idea either, but was so excited to explore Groupon Coupons and start saving some moo-lah! hehe! And thank you so much – you are too sweet! It was so good to see you yesterday – thank you again for planning the event!! I love your outfit! So cute! I love groupon they have so many great deals! I totally agree! They are fantastic for finding amazing deals on items I love! I absolutely love that skirt!!! I use Groupon to shop but never knew about Groupon Coupons. I will have to start using the coupons to shop because I too am addicted to it.